We love our players and the awesome stuff they create. We support players who use our intellectual property (“IP”) to create free fan projects for the benefit of the community (“Projects”). We’re generally on board with Projects that follow the rules outlined below, but we can still shut down any Project at any time if we decide it misinterprets these rules or uses our IP inappropriately. 1. What can I develop with Riot’s IP? You may not create commercial Projects, including any Project that crowdsources any portion of its funding, any Project that involves a business or legal entity, or any Project where you gate the content with a paywall (e.g., Patreon, YouTube Premium, etc.) without a written license agreement from us. We have only three exceptions. We permit individual players to promote their Projects on websites, streams, or videos and passively generate revenue through appropriate advertisements, including pre-roll ads, ad breaks, and sponsor ad overlays. No inappropriate ads—we alone decide what qualifies as inappropriate. We permit individual players to solicit personal donations or offer subscription-based content while live-streaming games, so long as non-subscribers can still watch the games concurrently. We permit commercial Projects that both (1) comply with our API Terms and API Policies; and (2) use a currently valid Riot API key that we granted to you specifically for your Project. We reserve the right to distribute and revoke API keys in our sole and absolute discretion. If we revoke your API key for any reason, you must immediately shut down your Project. 3. No unauthorized games or apps. We prohibit the use of our IP in games and apps. Please do not take any part of our IP (e.g., character appearance, character abilities, maps, icons, items, etc.) and use it in a game or app. To be super clear: we do not allow any Projects on the Apple Store or Google Play Store unless they have either a written license agreement from us or a valid Riot API key and comply with our API Terms and Policies (described above). 4. Does my Project have to include original content? TL;DR - Yes. Please don’t just rip off existing stuff. Make something new! You may not use a third party’s IP in your Project without their permission. Don’t steal other people’s Projects; get their permission and give them credit. Don’t just rip off or add some light commentary to existing content (e.g., esports matches, other players’ vods). Please make your own, original contribution to the community. We reserve the right to use services that identify our content automatically to prevent cannibalization of existing content. 5. Can I use Riot’s logos or trademarks? TL;DR - No, we don’t want players to be confused about any possible connection between Riot and your Project. Unless you have a written license agreement with us, you may not use any of our logos or trademarks anywhere in your Project or on any website, advertising material, video, or other publication. You may not register domain names, social media accounts, or similar stuff that uses Riot Games or any of our trademarks, trade names, character names, etc. You may not use our trademarks or names related to our IP as keywords or internet search tags. 6. Can I share my Project with the community? TL;DR - Defo. Just let people know it’s a fan Project, not a Riot project. 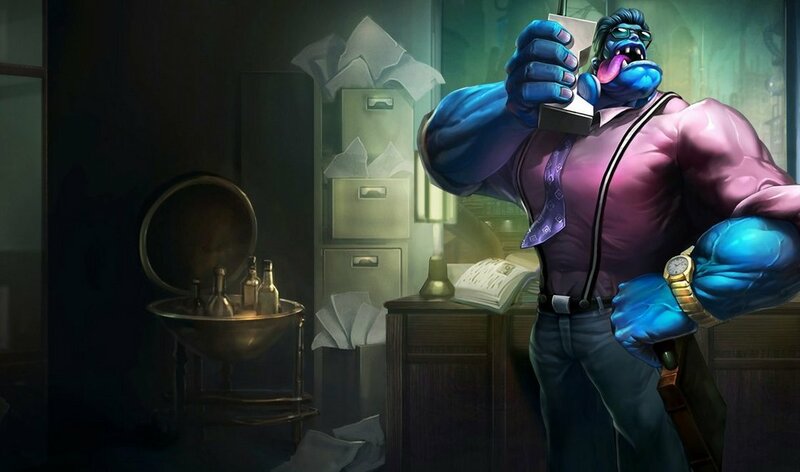 [The title of your Project] was created under Riot Games' "Legal Jibber Jabber" policy using assets owned by Riot Games. Riot Games does not endorse or sponsor this project. 7. Can Riot use my Project? We want fans to create and share cool things with each other, and we want to remove barriers to sharing. If we spotlight a fan Project or make something that resembles what a fan might have made, we don’t want to be sued, so you give us permission to spotlight or share your Project with the world. More specifically: you agree that we may use, copy, modify, distribute, and make derivative works of your Project in any form, on a royalty-free, non-exclusive, irrevocable, transferable, sub-licensable, worldwide basis, for any purpose and without having to credit you, pay you anything, or obtain your approval. So to wrap this up, here’s the summary: just follow these Rules so you don’t upset Corporate Mundo, and keep your Project free for the community to enjoy.